Зарплата, $ $ 1 600 - $ 2 000 в мес. "URGENT - MOTORMAN - PRODUCTS TANKER - 1600-2000 USD Position: Motorman Vessel: Products Tanker Salary: 1600-2000 USD Region: Mediterranean Embarkation: ASAP Requirements: - Good English, - Good Tanker experience, - Oil &Chemical Tanker COP, - Biometric passport or Schengen visa. 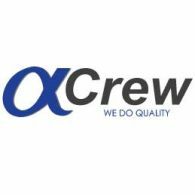 To apply for this position follow this link: https: //my.alphacrew.com/job/5572 email: cv@alphacrew.com Tel: +38048 237 19 57 ext. 115"" Hanna"